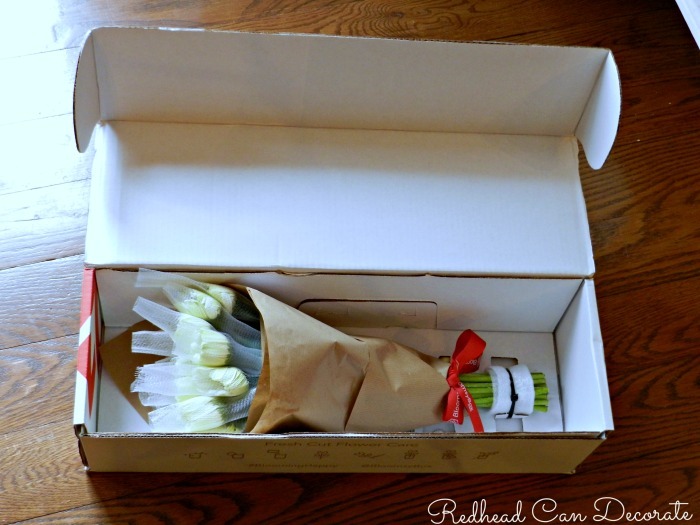 This post is sponsored by BloomsyBox.com. It was 6am and Sylvia the cat had just scratched my side of the bed to let me know it was time for breakfast. I quickly grabbed my phone to check my e-mails and I noticed there was a message on my redheadcandecorate.com Facebook page. It was Megan, the editor of Detroit Home Magazine. Now if you don’t live in Michigan, you may have never heard of the mag. However, I live in Michigan, and I usually see it displayed in Dr.’s offices, salons, etc. It’s a high end publication meaning it’s usually not something I would consider a magazine I would read for budget ideas. 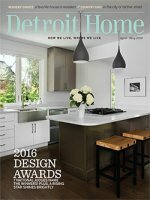 On the other hand, I would read it for stunning photography of beautiful architecture and home designs in the SE Michigan area. 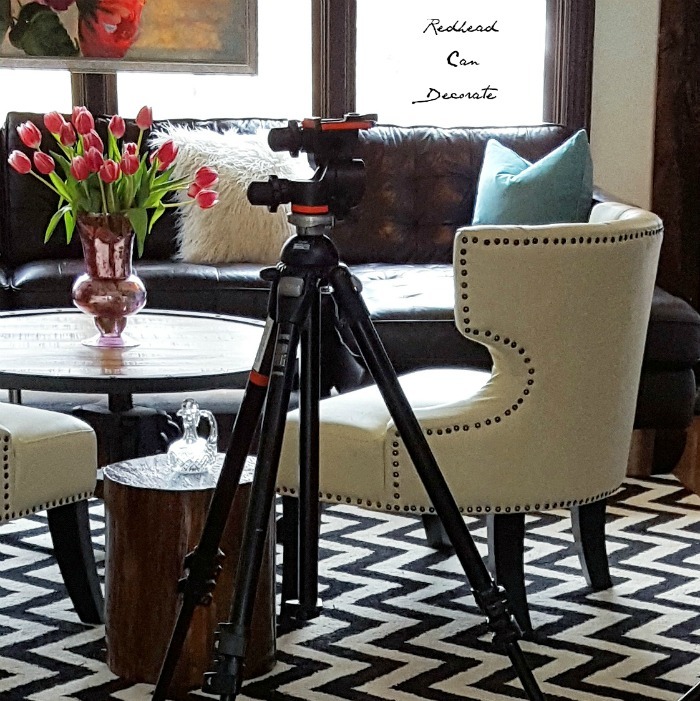 So, when she asked if I was interested in having our home featured, I was basically in shock. I’m pretty sure Sylvia the kitty was fed by someone else, because I entered into an adrenaline fueled state of euphoria. The date was set. Megan would come out to the house and “scout” the place, and I’m pretty sure just make sure that I wasn’t a crazy lady. She was super down to Earth and even made fun of me a little bit which told me that she felt comfortable with me. I can be pretty nervous at times, but she made feel right at home in my own own home! I showed her everything from my Illuminated Photo Door, to the Wood Planked Ceiling in our bedroom. We discussed stories about the home, where/when we began the renovations, and even the history of our marriage and family. 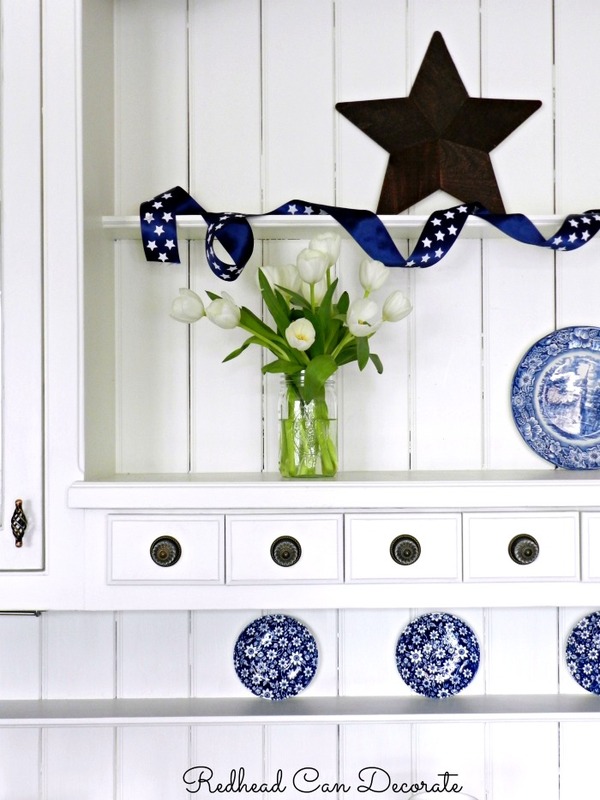 It was very satisfying knowing that this wasn’t just about a pretty kitchen. It was about us and the love we hold. Okay…enough corny stuff. 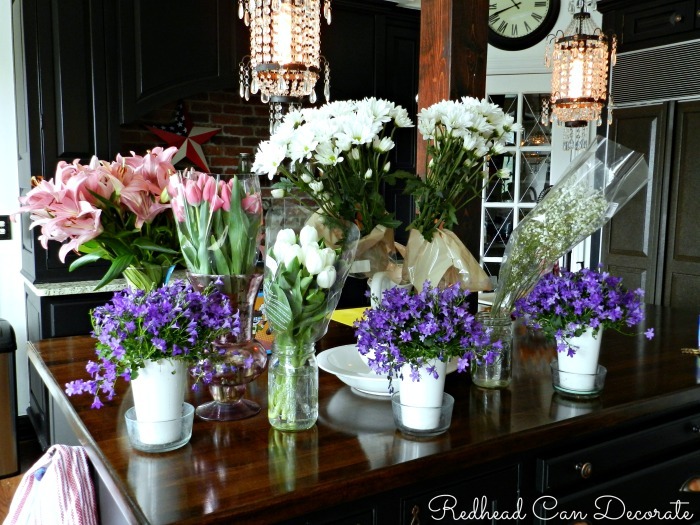 We continued on with our visit and discussed what rooms would be photographed, and what flowers I would need. I knew this was important from past experience with another magazine photo shoot that will be out on news stands this Fall. Megan then kept in touch until I was introduced to the chosen photographer by e-mail. It was up to us to set a date in the near future for the day we would shoot. We chose a Saturday because they wanted a photo of the entire family. Matthew showed up right on schedule at 8:00 am sharp. He was kind, polite, smart, and funny. His assistant, Ryan was all of those things and unfortunately also allergic to the quiche I made them. Poor Ryan could only eat the bagel. Why am I telling you this part? It’s always about the food, isn’t it? If you back up, you’ll see that watermelon on the table behind Matt. Well, it never made it into the shoot, but we had a good laugh about it all morning. We had to keep moving it so it would’t be in the shot. Come to think of it, I should have given Ryan some of that watermelon. Sorry Ryan! This next photo displays some of their equipment. Look at all that stuff. He even had big batteries for his lights. 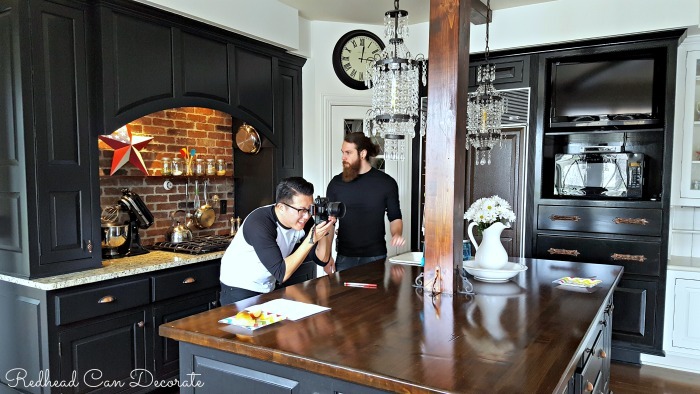 After they photographed the entire family, including Sylvia the kitty, they took photos of different details in the kitchen that Megan asked them to get. Like our hardware, and other fun details. 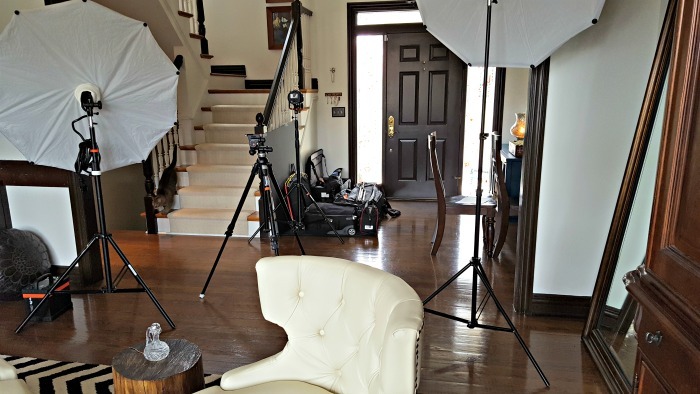 It took me 4 days to clean, and stage all of the rooms, and the entire photo shoot took 9 hours. The best part was that my house got clean. Yippee! Oh, except for all the crap in the closets. Shh. You must be wondering about the gorgeous flowers. Who did the flowers? Well, ironically enough BloomsyBox.com got in touch with me a few weeks before the shoot and asked if I was interested in reviewing their flower service. Perfect timing, or what? I was definitely interested. 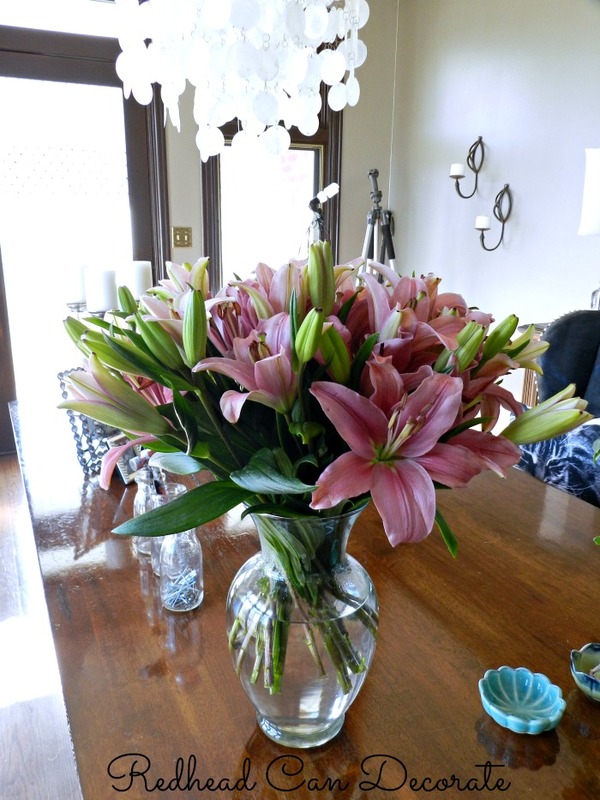 Honestly though, I don’t always find the best flowers at the grocery store so I was thrilled when I received white Gerbera Daisies and Stargazer Lilies from BloomsyBox.com. They came all snug in their own cardboard box, and they included care instructions. What I really enjoy about this unique and affordable flower delivery service, is that the blooms don’t contain any fillers. You receive only the beautiful blooms you asked for. Of course I will be sharing my issue right here as well. You can subscribe to my blog newsletter HERE so you won’t miss it! Thanks for the excellent article – photos too! That’s exciting. i can’t wait for the issue to come out. Since i live in Rochester Hills, i love everything Michigan and especially your home. Congrats on the shot. Hi Erika! We were just to lunch today in Rochester! Our kids are participating in the “Deck Art” they are holding. Small world! Have you tried Red Knapp’s turkey burgers? They are so good! Yes it is a small world, Julie. I haven’t been to Red Knapp’s yet as there are sooo many great places to dine, but it is on our list. I’ve lived here in Rochester only for 5 years since, having met my husband on-line and moving down here from the west coast of Canada. Hopefully i’ll bump into you one day when you’re down here. 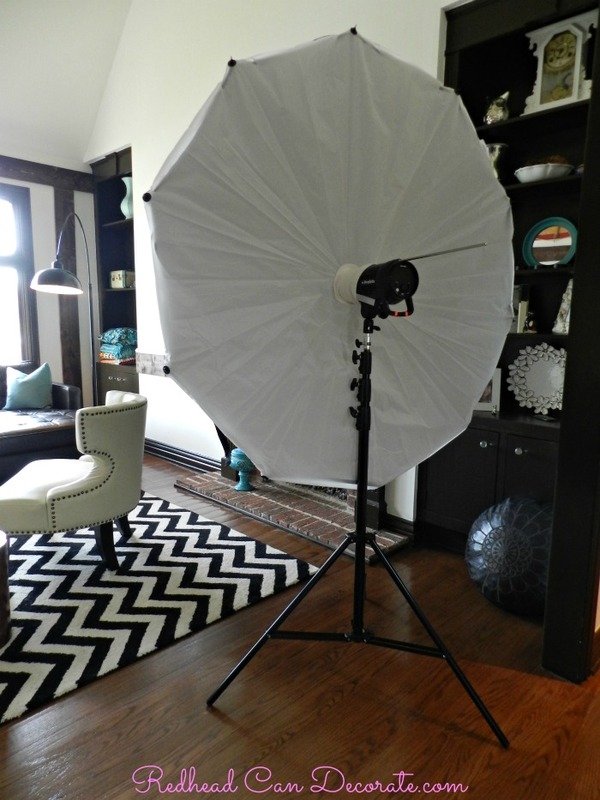 Julie, Your home screams “magazines, come take pretty photos of me!” So happy for you! Congratulations! Hi Karen! You are such a sweet friend. Thank you so much for stopping by. How are things going over at The Decorated Nest? Moving along slowly but surely! OOOooo thanks for the reminder of your quiche recipe…. though the avocado and egg sandwiches look pretty yummy!!! Christina…if you love avocado, serve a little with the quiche. OMG it is so good!! How exciting! 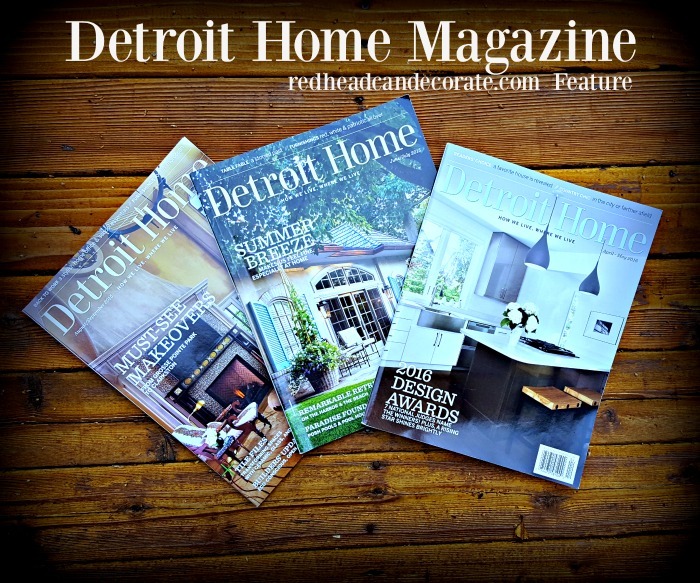 Congratulations on being featured in Detroit Home Magazine and for such an interesting and enjoyable blog. Wishing you continued success! I love that you find my blog interesting, Linda! Sometimes I worry I am boring everyone. Keeps me on my toes! Have a great Sunday! Wow, that’s great! 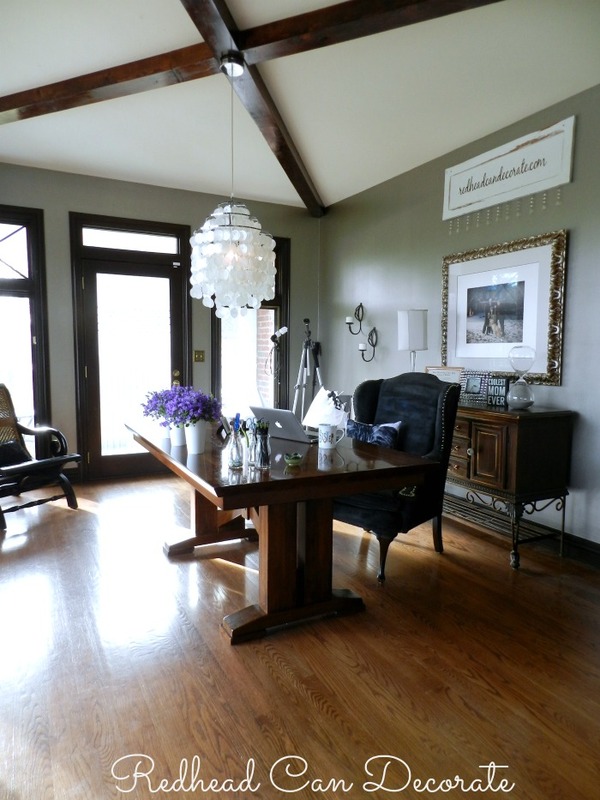 Proof you have a beautiful home or they would not have chosen it for their magazine. Congrats! Oh, and lots of pics please. Thank you so much, Pat! I love hearing from you. Thanks for stopping by! Wow!! 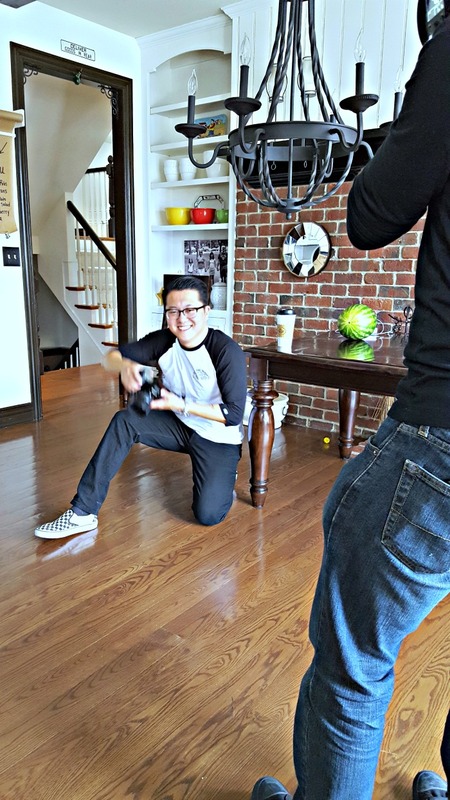 Fabulous pictures of your behind-the-scenes shoot. Your home looks so warm, comfortable and welcoming. Love all your special touches. Thank you for sharing. 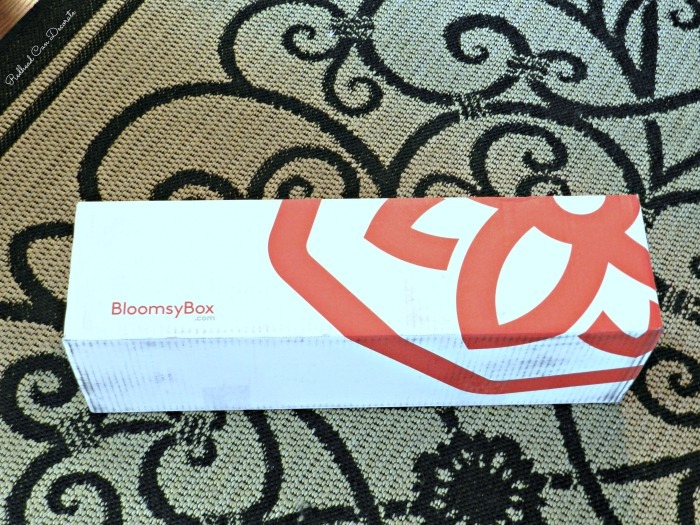 Also the info on BloomsyBox. Hi Laurie! Ohh, BloomsyBox is so cool. Totally recommend trying it! Awesome. Nice job. Your home is lovely. 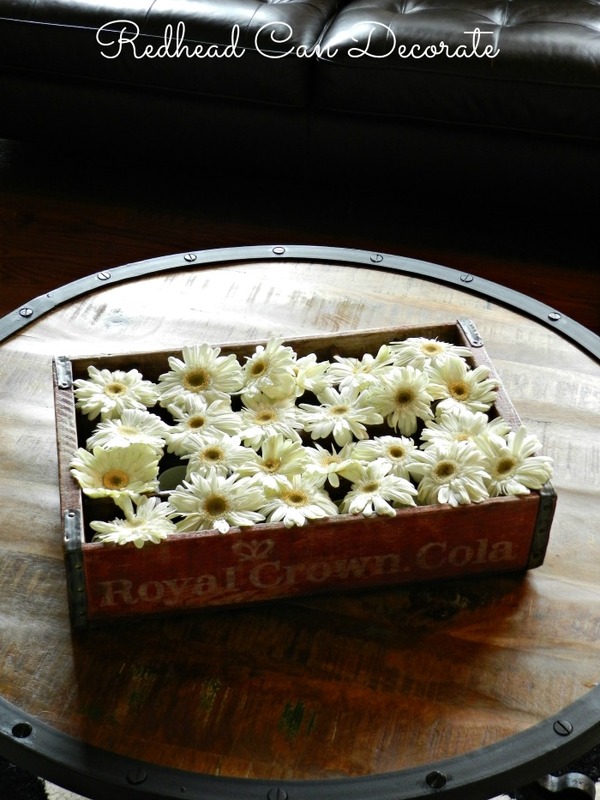 Congrats..sure love the way you displayed the gerbera daisies. Thank you, Cookie! I hope they use that image. Not sure yet. Beautiful! Your home shows all the love you have put into it. Can’t wait to see your magazine shots. Congratulations! Thank you, Peggy! Have a great rest of the weekend. It’s so cold here in Michigan! Congratulations! I drool over your lovely home with every post I receive in my email. New readers have quite a treat in store, and will enjoy their visit to your home as much as I do, I’m sure. Can’t wait to see the great reveal! Thank you, Ann! I hope you have a great Sunday! Awesomely Awesome!!!!! Just beautiful Julie. You are a designer at heart and it certainly shows. Michigan is proud of you and they should be!! The flowers are beautiful! I’m so excited for you and I can’t wait to see the magazine article when it comes out. I hope we can view it online somehow if we’re not local! I think it will be on their website too, but not sure on that, Erin. June 10th can’t come soon enough! Thanks, girl!